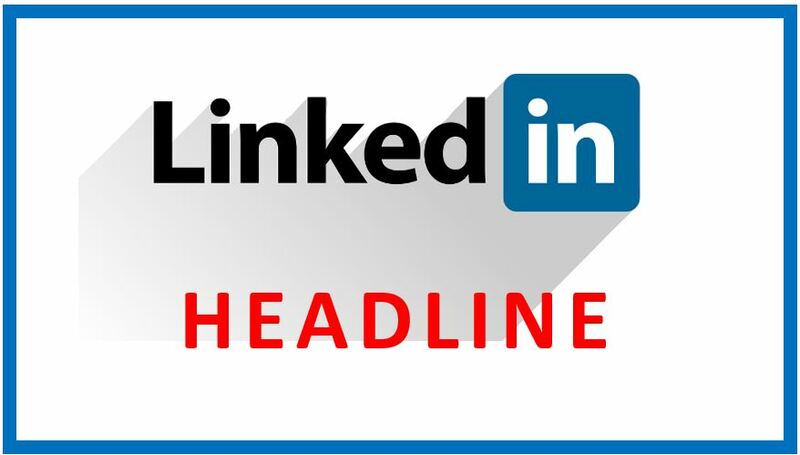 The Linkedin headline is arguably the most important section of your profile because it’s the first thing (other than your name) that the reader sees as soon as they land on your page. Just to be clear, I’m referring to that 120-character section located below your name which will be set to the default job title and name of employer unless you change it (which you should). If you want to optimize your job search, you need to create a compelling headline that grabs immediate attention of the reader so that they continue reading your profile and reach out to you to learn more. If you have the LInkedin default headline or a weak one, you are significantly reducing the amount of profile views which means you won’t get much interest (if any) from recruiters, HR, and hiring managers. There are many ways to create a strong headline that grabs attention and inspires the reader which I’ve discussed in this previous article. What you shouldn’t do – ever! The one thing you definitely should NOT do, is include these 3 words that I’m going to talk about in this article. Actually, it’s numerous versions of these 3 words that should be removed from your headline and then be replaced with the most effective keywords, otherwise you are in effect destroying your chances of getting interviews. What are the 3 words that can prevent you from landing interviews? There might be others, but I’m sure you get the point. I know it might seem like a good idea to emphasize that you’re available to hire in your headline, but it’s actually not, despite what you have been told. Recruiters, hiring managers, and HR use keywords to search for candidates on Linkedin and typically search for a specific skill set, designation, certification, and other important job qualifications. They’re typing in keywords like “project+manager+pmp” or something along those lines. They ARE NOT typing in “seeking new opportunity”. If they are, they’re most likely recruiting for contract positions and looking for contract workers who are between jobs which isn’t really what I’m talking about here. So, if you’ve got “Available For Hire” or some other variation in your headline, it will not be a match with the search strings and will not come up in recruiter searches which drastically diminishes the interview-generating power of your profile. What you need to do is replace those forbidden words with the kinds of keywords that the employer would use to search for someone like you. There are different ways you can do this which I talk more about in this article. It could be a combination of your skill set and the kinds of results you can achieve such as cost reduction and revenue generation or whatever it might be. I recommend you read this article about what your options are. When someone lands on your profile, the first things they see are your name, photo (you should have a photo) and your headline. You have only mere seconds to grab their attention to keep them reading which is why a know-out headline is so important. What’s going to get them excited to reach out and contact you isn’t that fact that you’re between jobs (even if you aren’t, saying you’re “Available And Looking” makes you look unemployed). The fact is, the recruiting and hiring process is biased – especially 3rd party recruiters. They are engaged by companies to headhunt passive candidates by targeting gainfully employed candidates and not those who look like they’re actively looking. Even if you come up in a search and have a good reason why you are not working, you should not highlight the fact that you’re unemployed. Many recruiters and even the employers themselves (hiring managers, HR) will pass you by. Even though you might have a great reason why you’re in between jobs, broadcasting your availability in your headline just comes across as negative on so many levels. It makes you look desperate even though you might not be. It’s like shouting out to someone “Hey! I’m unemployed and need a job now! Please hire me!”. Secondly, it becomes all about YOU and what YOU want and need. That’s not the right approach. You need to turn that around into how YOU can help organizations and stakeholders and what YOU bring to the table. That’s way more positive and makes you look like a more confident candidate. Unfortunately, many recruiters, hiring managers, and HR will discriminate against people who are unemployed especially if they’ve been out of work for an extended period of time. It’s not fair but that’s the reality so you need to be able to address that head on. What you need to do is focus on your skills, accomplishments, and unique qualities which will present you in a much more favourable light and generate more positive attention. The point here is to showcase your VALUE regardless of your employment status. You need to deliver a strong, positive, and confident message right at the top and continue your value message throughout the other sections of the profile. Even if it’s obvious you are between jobs for whatever reason, your unemployment status becomes less of a negative because you’ve created enough interest that started with your headline. There is a way to address that fact that you are “Available For Hire” in a way that won’t diminish the effectiveness of your profile and might actually help you attract more positive attention and interviews as a result. For immediate help, you can contact me here. Also, take advantage of the multiple freebies I have to offer on the FREE STUFF page.